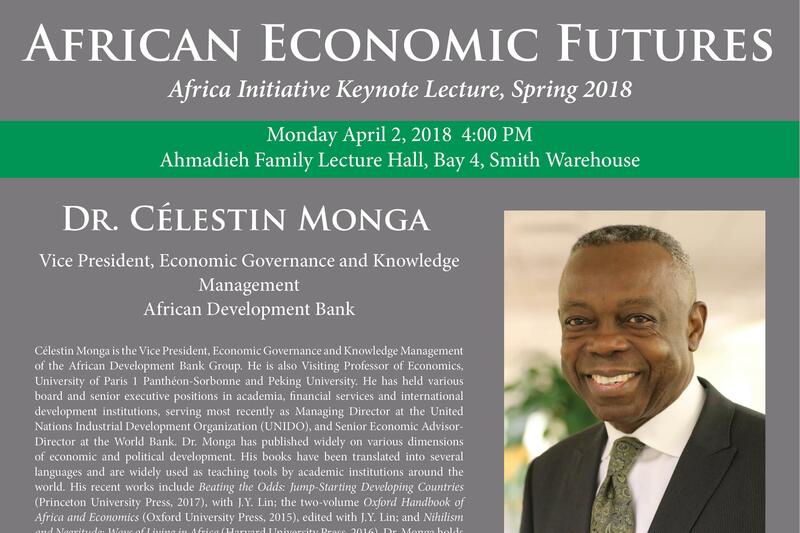 Célestin Monga is the Vice President and Chief Economist of the African Development Bank Group. He is also Visiting Professor of Economics, University of Paris 1 Pantheon-Sorbonne and Peking University. He has held various board and senior executive positions in academia, financial services and international development institutions, serving most recently as Managing Director at the United Nations Industrial Development Organization (UNIDO), and Senior Economic Advisor-Director at the World Bank. Dr. Monga has published widely on various dimensions of economic and political development. His books have been translated into several languages and are widely used as teaching tools by academic institutions around the world. His recent works include Beating the Odds: Jump-Starting Developing Countries (Princeton University Press, 2017), with J.Y. Lin; the two-volume Oxford Handbook of Africa and Economics (Oxford University Press, 2015), edited with J.Y. Lin; and Nihilism and Negritude: Ways of Living in Africa (Harvard University Press, 2016). Dr. Monga holds graduate degrees from MIT, Harvard University, and the Universities of Paris and Pau.